Have you ever gone to a new area and been totally skunked? It happens. But how can you maximize your free time outside and make the most of your vacation/hut trip/ski trip? Do your homework… and use the tools available. Map reading is a time-honored tradition, and it takes time and skill to be proficient with your two-dimensional map and compass. A physical map and compass used to be the only tools you had access to, and if you’ve earned your navigation chops then you know that most maps provide limited information. Your map might have some shading denoting what was forested and what was alpine/rock, but that was just about it. But oh my, how times change. While the core navigation skills are much the same as in decades past, the tools have come a long way since cartography was invented. These days we have easy access to satellite images, slope angle shading, GPS maps, social media beta, geo-tagging, and more. How we filter all that data to help us route out our adventures can take a bit of navigating unto itself. There are many ways to skin a cat, but we’ve found that utilizing some of that extra data in the research stages can really help you capitalize on your time spent in the field. A custom mix of satellite imagery, USGS contours, and Slope Angle shading. CalTopo may be a free service, but it is immensely valuable. You can toggle between different layers, or overlay them with each other to see the data that is relevant to you. We generally start out in satellite mode so we can see vegetation, lakes, cliffs, etc… Then add the USGS 7.5’ Topographic display (we like it overlaid at 40% opacity) to see ridges, peaks, and the general steepness. We also use the “Slope Angle Shading” layer. Imagine it’s a season with a persistent weak layer, and you’re wondering where you should ski based on keeping the slope angle low… Boom, turn on slope angle shading and you’ll have a massive head start. 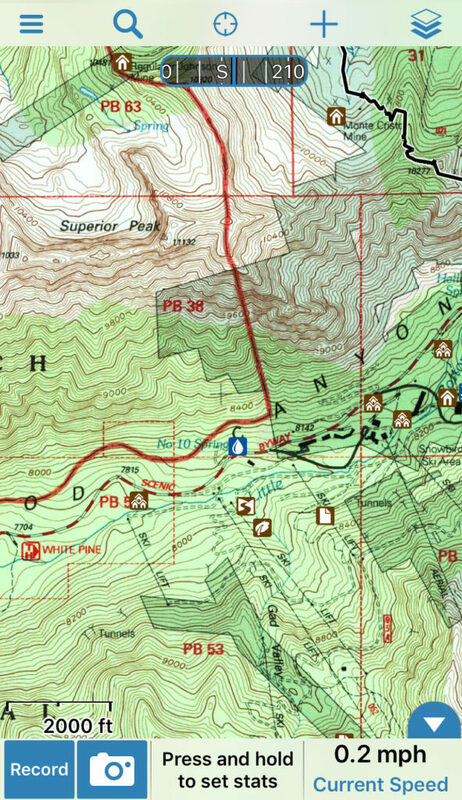 This is just scratching the surface of what CalTopo can provide. Google Earth flyover of the same area. CalTopo is the 30,000’ view. Google Earth is the 10,000’ view, allowing us to see more detailed ground cover, as well as any cliff bands that weren’t picked up by the 40’ contours of the CalTopo map. Even though we use it less frequently, Google Earth’s 3D flyover functionality can give us a virtual grasp of the terrain we’ll be in. A flyover in Google Earth can sometimes help you gauge the possibilities when scouting brand new areas that may or may not be skiable. Using these tools, we can get a pretty clear idea of how we want to move through the terrain surrounding an objective. 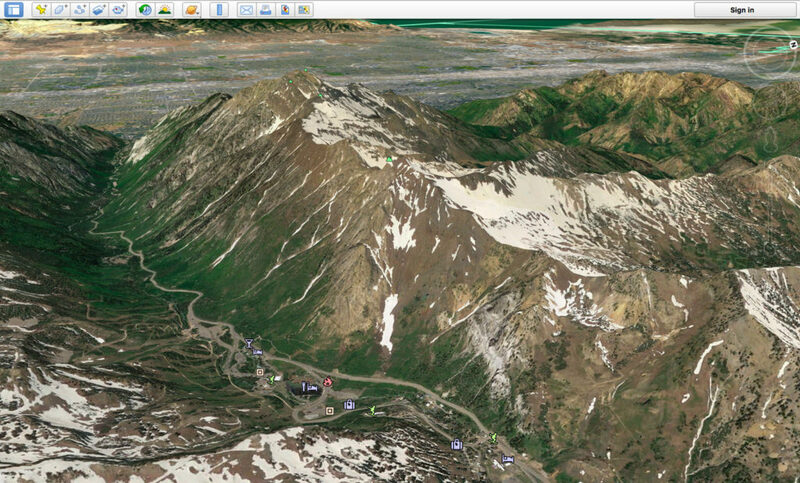 We can create routes in CalTopo, which can then be exported to a GPS. Gaia GPS works while offline. Speaking of GPS devices, we swear by the Gaia GPS app – available on Android and iOS. This smartphone app works without cell reception for tracking, navigation, geo-tagging, and much more. Gaia will set you back $20 for the basic membership, but it may be the best $20 you ever spend. With CalTopo routes imported to Gaia, we now have a satellite view, topographic maps and a marked route available when we’re off the grid. Just don’t forget your battery pack to keep all that technology running in the cold. The thrill of scouting new zones is addicting. The uncertainty – and the occasional skunk – makes the reward all that much sweeter. So get a little tech in your life. Move through the mountains with more confidence, and experience how fulfilling it is to figure it out on your own. Many of us are in awe when we see the beauty of the mountains surrounding Park City from afar. Some of us even have big dreams to explore these wild and special places. The problem is most of us don't have the experience, skills and knowledge of where to go, and how to navigate backcountry terrain safely. 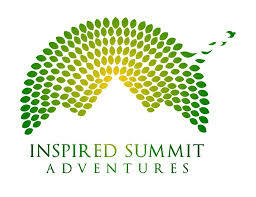 V-Team athletes Weston Deutschlander and Shaun Raskin provide guided mountain adventures in the Uintah and Wasatch mountains that surround Park City and Salt Lake. From human powered ski touring to snowmobile accessed tours and backcountry hut trips, these two know how to fuel your need for adventure.